Chef Jean-Pierre’s has two separate businesses. The first one is a beautiful Gourmet Shop and the second is an amazing Dining Experience! Our customers say better than we do! It’s like dinner and a show. Every night we offer a different menu that is prepared by our executive Chef and owner Jean-Pierre. After he finishes his presentation you get to eat some of the finest food you’ll ever eat. Chef Jean-Pierre’s is celebrating 20 years. We are open 6 days a week between 10:00 am and most days until midnight. The schedule is always published in a print format as well as on our web site, were all reservations are made. Any question feel free to call 954-563-2700. 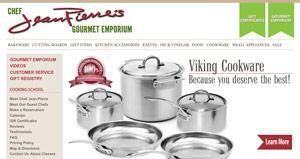 The Gourmet Shop represents the finest and the best quality cookware and cooking utensils available in the word. We represent Demeyere, Viking, Staub, Woll and others. Our Knife selection is Wusthof and ALL kitchen tools and gadgets are tested and used by our Chefs before we sell them to you. We also have an Olive Oil and Balsamic Vinegar Tasting Bar. Our in-store tasting room offers over 10 of the highest quality available, bulk, Solera Aged and naturally flavored Balsamic Vinegar Condimento from Modena, Italy. And 10 premium Extra Virgin, first, cold pressed Olive Oils from around the world. Once harvested, these oils are available to you within weeks. Our selection of Oils are unique and the finest available in the world. 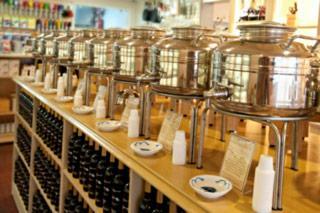 Come in and taste the finest Extra Virgin Olive Oil and Balsamic Vinegar in the world! 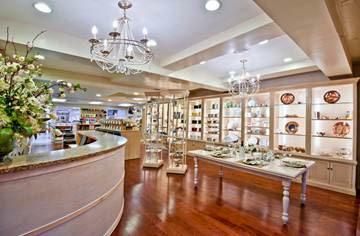 Our Online Gourmet Store offers the entire product line that is available in our store in Fort Lauderdale. Feel comfortable to order anything you like we guaranty that you will be please. If you are not completely satisfied with your purchase for any reason, please return the item for an exchange, refund of the purchased price. Any question about our Online store feel free to call 954-563-2700.